Today was Day #4 of Chocolate and Toffee Theme Week. 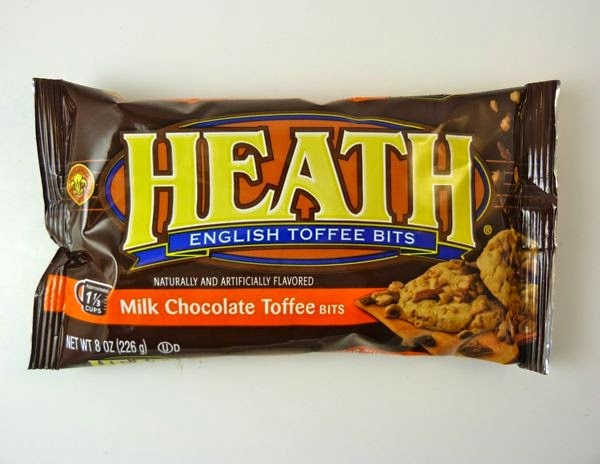 When I was growing up and I thought about toffee, one of the first items to come to mind was Heath Toffee bars from The Hershey Company (Hershey, PA). These were made with milk chocolate, sugar, dairy butter, lactose, and bits of roasted almonds. Crushed Heath and Skor (similar to Heath) bars were also popular as toppings over (or mixed in with) ice cream. So, it was in that spirit today that I made a chocolate and toffee sundae, with Dark Chocolate Paso Brittle Ice Cream from McConnell's Fine Ice Creams (Santa Barbara, CA), sprinkled with Heath Toffee Bits (now sold by the bag for cooking and dessert toppings). Sweet, cold and crunchy, this ice cream treat hit the spot on a warm day, after a 7-mile hike up in the redwoods. 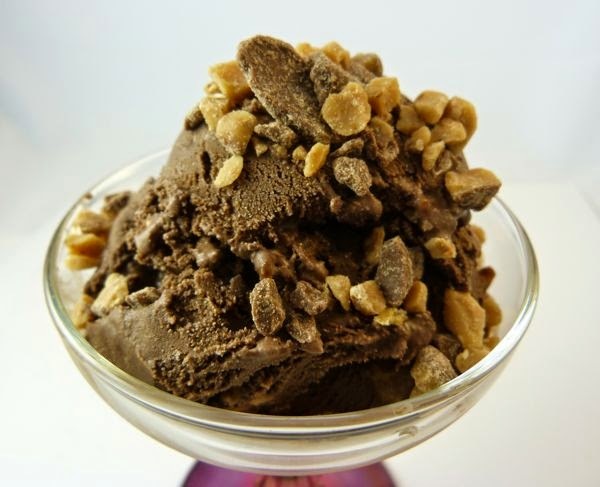 The McConnell's dark chocolate ice cream (made with Valrhona cocoa and Coeur de Guanaja*) was studded of bits of "Paso Brittle" -- roasted almond brittle with salt made by Paso Almonds (San Luis Obispo, CA). 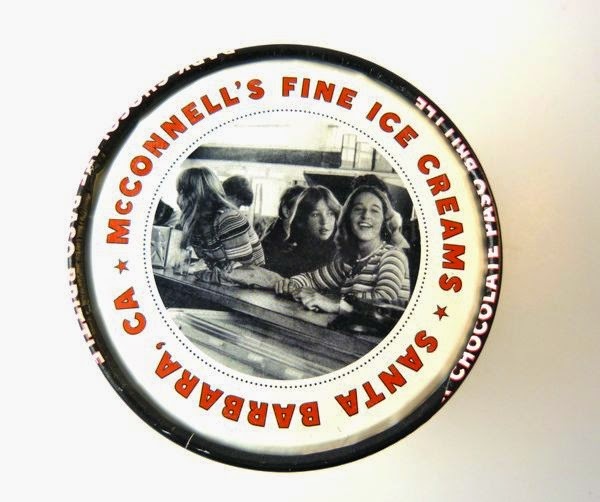 Note: This is rich ice cream, enough to coat your bowl and spoon with a thin-film of Central Coast grass-pastured milk and cream. *A dark (80%) chocolate "concentrate" developed by Valrhona, made from non-GMO ingredients, suitable for ganaches, ice cream, mousses, drinks and sauces.